Are you picking up a familiar aroma when your kid walks in the door and you shake your head thinking to yourself, “You know… it’s not the worst thing in the world he could be doing. I smoked pot when I was his age and I turned out just fine.” Well, you might want to think again. Times have changed and so has pot… today’s joint packs a powerful punch. Marijuana is the most commonly used illicit drug in the U.S. according to a National Survey on Drug Use and Health. But, the term “illicit” may not apply much longer. More than 22.2 million people in the U.S. have used it in the past month. While some people are proclaiming victory as new studies reflect that teen use of marijuana is showing continued long-term decline despite legalization in some form in 29 states and the District of Columbia, concerns still weigh heavily on the minds of many parents questioning the effect that legalization has on teens’ perception of marijuana’s harmful effects. According to the “Monitoring the Future” survey – an annual survey of drug use and attitudes among the nations middle and high school students – marijuana use among 8th, 10th and 12th graders peaked in the mid-to-late 1990’s and then showed a period of decline through the 2000’s, before leveling off. More recent studies show decline again in the last five years. In 2016, 9.4 percent of 8th graders admitted using marijuana in the past year and 23.9 percent of 10th graders used it in the last year. Rates of use among 12th graders were much higher with 35.6 percent admitting they had used marijuana during the prior year. While it’s certainly promising that marijuana use among teens in middle and high school is declining, the outlook isn’t quite so bright for college kids. According to the American College Health Association, in 2015, 38 percent of college students said they used marijuana in the past 12 months, up from 30 percent in 2006. 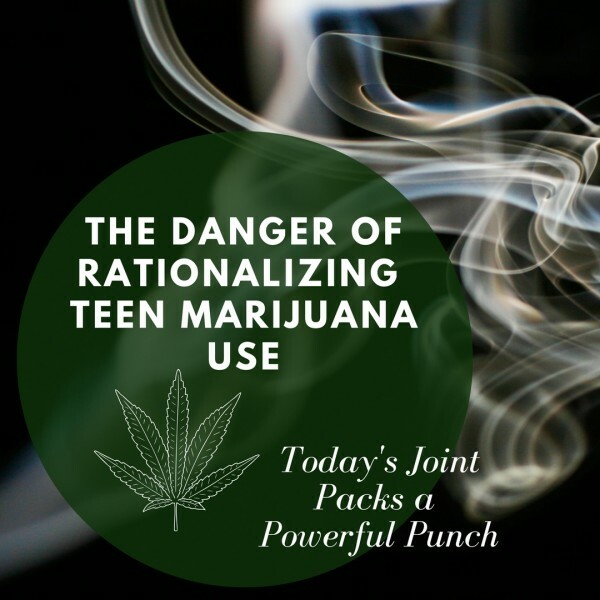 What seems to be even more concerning is the fact that teens’ perceptions of the risks associated with marijuana use have also steadily declined. Will decriminalization of the drug desensitize teen (and parent) views over time and end up spawning a surge in use? A recent story in USA Today, “What’s the Big Deal with Legal Pot? No One Knows Yet,” said it best – it’s too early to tell. “For years the only way to get marijuana was to grow it at home illegally or buy it on the black market. But today 205 million Americans live in a state where marijuana is legal for either recreational or medical use.” What impact it has on our society, and our teens, is yet to be seen. Although there’s a lot we still can’t predict, there’s plenty of hard-core evidence that paints a dim picture for teens (and parents) who rationalize the use of marijuana. While some parents may be jumping on the bandwagon and find themselves rationalizing their teens’ use of the drug – after all, it is “just” weed and, heck, we did it when we were kids, – what they may not realize is that today’s weed is nothing compared to generations past and even recreational use can be impacting their child’s short-term memory, ability to function and their ability to succeed in school. Today’s weed is not the same weed as generations past. The potency of marijuana has been on the rise over the past few decades. In the 1990’s the average THC content (the main mind-altering chemical in weed responsible for the intoxicating feeling of being high), was about 3.7 percent. In 2014, it rose to 6.1 percent. Today, the average potency hovers around 20 percent THC with some reported cases as high as 37 percent THC. New, popular methods of smoking or ingesting THC-rich hash oil extracted from the marijuana plant (a practice called dabbing) has the ability to deliver very high levels of THC – sometimes as high as 50 percent with some samples exceeding 80 percent. What this means for our teens is a greater chance of an adverse or unpredictable reaction to the drug which could account for the rise in marijuana-related emergency room visits. It also may mean a greater risk of addiction. What’s especially concerning is the THC concentration can be manipulated by marijuana growers who cross-breed strains for increased potency. In essence, when our kids are handed a joint at a party, they may have no idea exactly what they’re smoking or its level of potency. And, researchers don’t know the full extent of the consequences when the body and brain (especially developing teen brains) are exposed to high concentrations of THC. According to the National Institute on Drug Abuse, research has shown that marijuana’s negative impact on memory, attention, and learning can last for days or potentially even weeks after the effects of the drug wear off, depending on the person’s history with the drug. In essence, what the report showed is that someone who smokes weed daily is most likely functioning at a reduced intellectual level most or all of the time. Another recent report found that marijuana use was associated with reduced chances of graduating high school, an increase in developing a dependence on the drug, increased chances of turning to other drugs and even suicide. Even another report revealed that people who smoked weed regularly reported that it negatively affected their physical and mental health and their social lives. According to the National Institute of Drug Abuse, marijuana can lead to the development of problem use known as “marijuana use disorder.” This disorder is associated with a certain dependency that creates feelings of irritability, cravings, restlessness, difficulty sleeping, mood changes, and even physical discomfort that can last up to two weeks after a user stops. As for teens, what’s concerning is that kids who start using marijuana before the age of 18 are four to seven times more likely to develop a marijuana disorder than adults. As it stands now, about 30 percent of people who use marijuana fall into the “use disorder” category. The disorder can eventually lead to a full-blown addiction when someone can’t stop using the drug despite the fact that it’s interfering with many aspects of their life. In 2015, about 4 million people in the U.S. met the clinical criteria for marijuana use disorder. It’s easy to rationalize its use. If someone told you that weed doesn’t stick around long in the body, they’d be right. What they might not realize though, is that the chemical in weed, THC, does. In fact, the effects of THC can wear off in as little as a few hours, but traces of the chemical can remain in the body for weeks. Basically, weed passes from the lungs to the bloodstream, but the THC bonds to fat cells which then breaks down slowly. The amount of time it takes to break down depends on a variety of different factors including how much the individual smokes, the method they used, how often they smoke and their metabolism. Here lies another serious issue…our teens are driving. If they get pulled over and they’re suspected of using marijuana and tested, THC will show up in a standard urine drug test for up to 30-45 days after use. According to the Drug Enforcement Administration, marijuana is the drug most frequently found in the blood of drivers who have been involved in vehicle crashes, including fatal ones. Other studies have shown that auto crashes are on the rise in marijuana legalized states. Is this really a risk worth taking with our kids? The THC in weed passes into the bloodstream and then moves through the body into the brain and other organs of the body. When it hits the heart it can trigger an increase in heart rate of as much as 20-30 percent and remain elevated for as long as two to three hours. Studies show that marijuana users have a four times greater chance of experiencing a heart attack in the first hour after smoking. Although the impact of the drug varies depending on the person, it’s been shown it can lead to heart irregularities and palpitations. Furthermore, it’s no secret that smoking, in general, has its share of lung-related issues, and even though most people who smoke weed claim they don’t inhale, studies have revealed that long-term marijuana smoking causes many of the same respiratory issues found in cigarette smokers including chronic cough and lung infections. Although there’s conflicting evidence about the long-term effect of marijuana on young, developing brains, there are reasons to believe that teens may be more susceptible to lasting damage from prolonged use – at least until the early to mid 20’s. 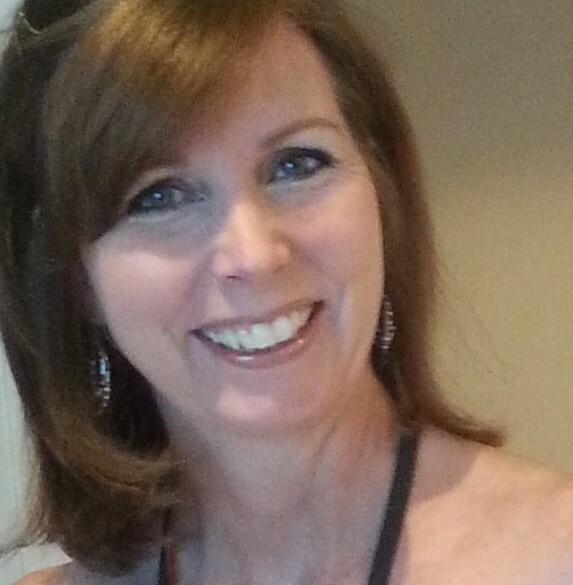 According to Staci Gruber, Ph.D., neuroscientist and director of the Cognitive and Clinical Neuroimaging Core and the Marijuana Investigations for Neuroscientific Discovery Unit, during the developing stage, the brain is particularly sensitive to damage from drug exposure. The frontal cortex – the area of the brain critical to planning, judgment, decision-making, and personality – is one of the last to fully develop which may be negatively impacted by prolonged marijuana use. Another study found that prolonged, consistent use of marijuana accounted for as much as a 6 point decline in IQ. Some parents may feel hypocritical lecturing their kids about marijuana, especially considering the fact that they too may have experimented with drugs when they were kids. Other parents rationalize their kid’s behavior thinking that their behavior is “just typical teen behavior” and like many other teen indulgencies, they feel “this too shall pass.” However, there’s too much growing evidence to suggest that the weed today is substantially more harmful than the weed we grew up with. While it might be easy to pass off our kids’ behavior, we shouldn’t allow ourselves to get wrapped up in the swarm of legalized desensitization and widespread acceptance. Our kids face a host of potential dangers that previous generations never did.